What to do in the critical first-hours of a neurological emergency? 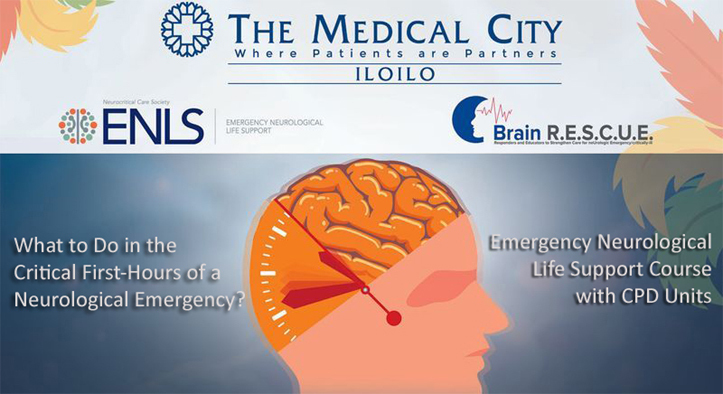 The Medical City Iloilo will be holding an Emergency Neurological Life Support (ENLS) Course at Iloilo Convention Center this December 2018. This is open to medical doctors, nurses, physical therapists, pharmacists, students and other health care professionals. 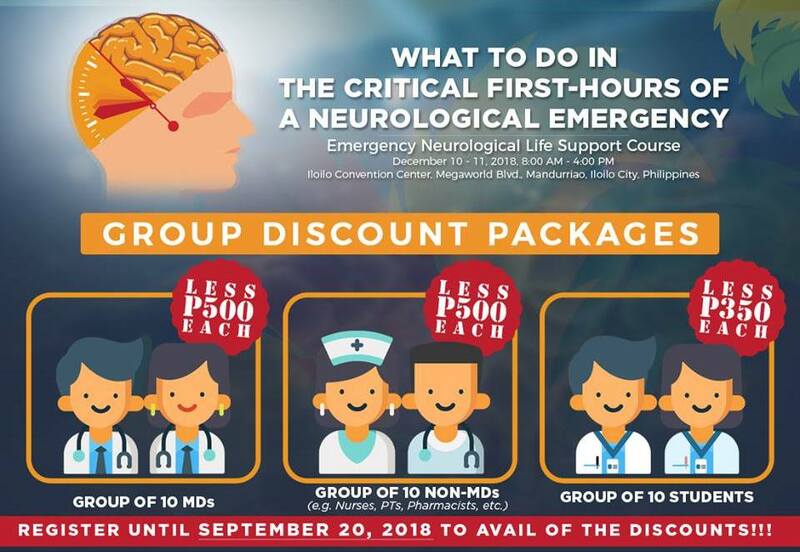 The ENLS Course Topics include: Acute ischemic stroke, acute non-traumatic weakness, airway, ventilation and sedation, approach to patient with coma, intracerebral hemorrhage, intracranial hypertension and herniation, meningitis and encephalitis, resuscitation following cardiac arrest, subarachnoid hemorrhage, spinal cord compression, status epilepticus, traumatic brain injury, traumatic spine injury, pharmacotherapy. Special Lectures and Courses will be on Resuscitation of Poor Grade Subarachnoid Hemorrhage, Updates in the Treatment of Status Epilepticus, Endovascular Therapy in Stroke, Targeted Temperature Management in Acute Brain Injury, and Multidisciplinary Stroke Masterclass. The Course will feature International Ambassadors Gretchen M. Brophy, PharmD, BCPS, FCCP, FCCM, FNCS (President, Neurocritical Care Society), Stephan A. Mayer, MD, FCCM, FNCS (Chairman of Neurology, Henry Ford Health System), Hitoshi Kobata, MD, PhD, FNCS (Director, Osaka Mishima Emergency Critical Care Center), and other local members of the Neurocritical Care Society (NCS) and Brain R.E.S.C.U.E. The ENLS Course will happen on December 10-11, 2018 at the Iloilo Convention Center, and TMCI is now accepting registrants! Note: Student registrants must send a soft copy of current school ID. Pocket Guide in Neurocritical Care book is available for US$ 40. Group Discount Package is also available for those who will register until September 20. Tag your friends and register as a group to get discounts on your registration fee! For more details, contact The Medical City Iloilo Medical Services Division:  (033) 500-1000 loc. 50096 | 0947-990-5668 |  tmcienlscourse@gmail.com.